Fruit cake in the making! Making a three tier cake for my dad's 80th birthday in Feb. 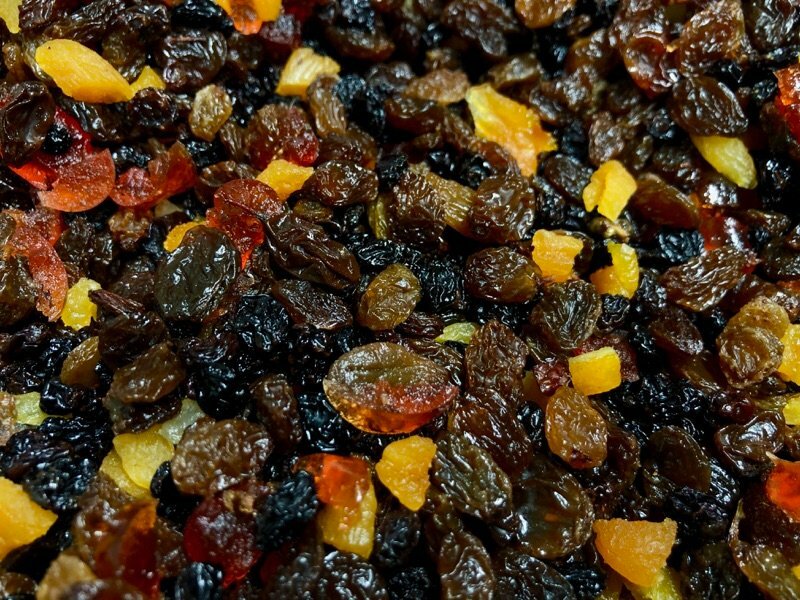 I have prepped the ingredients in 3 bowls fruit soaking in brandy- ready to start baking a 6, 8 and 10 inch cakes on Saturday. Start the day with pilates - ( using the site blogilates). then go for my morning walk - 3 miles or more. Keeping up with the calorie counting and really enjoying the meals too. Feeling better for it. 2. 4 mile walk today to the town and back. 3. Cake ingredients prepped ready to start baking on Saturday. You have already a had a full day. These look very good. I'm sure the cakes will be wonderful. Oh the cake will be delicious, this fruit looks so good. Good for you for walking, my dr says it is the very best exercise of all. I've been told many times that I'm a fruit cake.